A guardian shall be accepted if a student's parents are unavailable. The word parent would also mean guardian where accepted by the management. 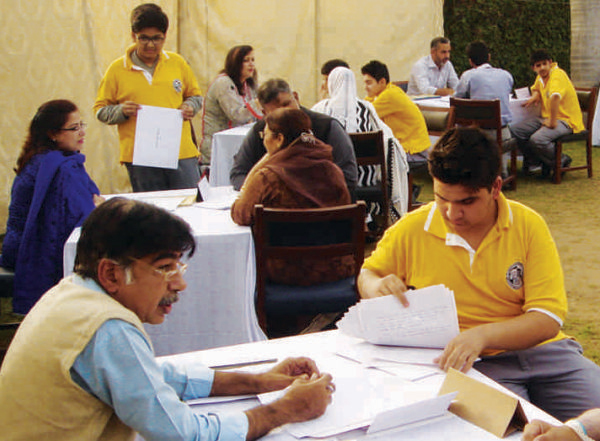 While meetings between parents and teachers may be arranged as and when necessary, the school holds PTMs on a regular basis to ensure effective communication regarding students' performance and steps to deal with problem areas, if any. It is strongly recommended that students accompany their parents to these meetings. KIMS has internally developed a student management system and successfully linked it with the Short Message Service provided by mobile phone operators. This enables us to send useful messages about students' academic progress, attendance and other important announcements to parents and students. Parents are requested to provide us with their mobile (cell) numbers at the time of admission to help us communicate effectively. Emails are the most efficient and prompt way of providing information to and seeking the opinion of parents on urgent matters. Parents are therefore advised to provide their personal email addresses in the space provided in the application form. Parents are also advised to check their mail regularly. Occasionally, parents are approached through letters and expected to favour us with their response accordingly. Letters are sent on the address provided to us in the Admission Form, so any change in the same must be notified to the school administration without delay.